Artists attending Tinker Tailor Artist Maker have the very special opportunity to connect with this Inspirational, self-help writer and speaker. 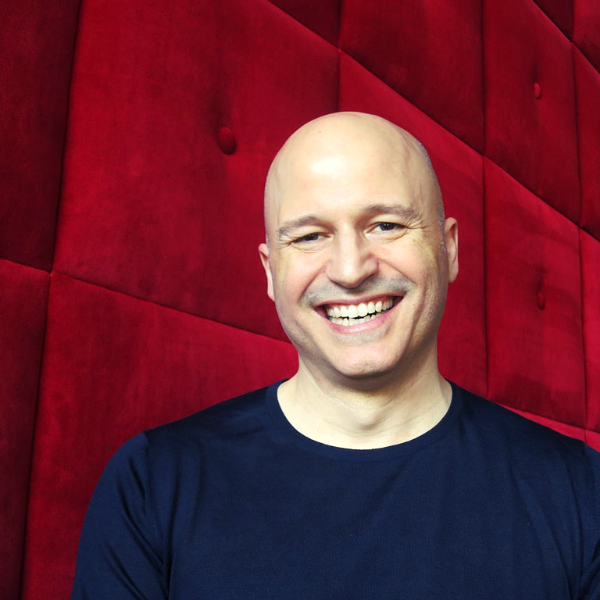 Scott is spiritual voice for personal development in a modern world. Hello World Sessions are a part of each day’s registration and you are encouraged to bring a pencil and notebook and an open heart. Read about Scott’s first experience at our retreats here. Purchase his book BIG LOVE and bring it with you to be signed. As we kick off our Australian Tinker Tailor Artist Maker, we invite you to join us for our first Eat Cake Creator event. 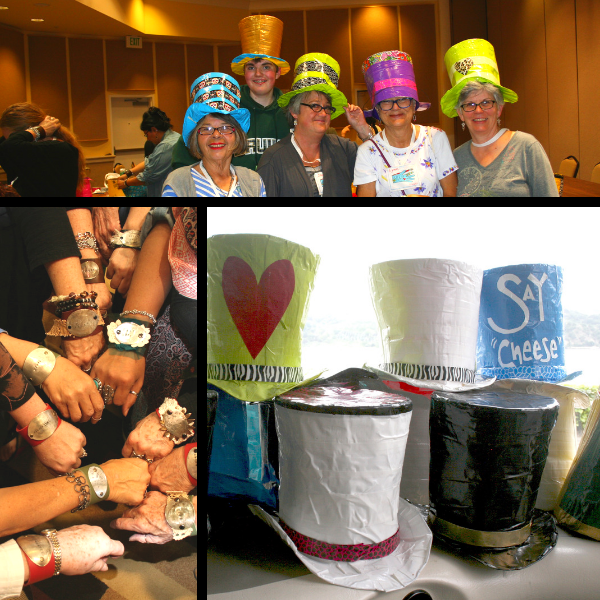 Hats and Hammers was one of the most popular experiences on the West Coast and we look forward to everyone joining us to create a hat and or a power cuff with your favourite word! Fee: $35 includes all supplies, instruction, coffee/tea and cake but suggest you bring scissors and if you want to make more than two cuffs, please bring an additional old spoon. We would also appreciate people watching out for old leather belts to bring with them too. Evening Workshop only available to attendees of the retreat and may not be purchased as a single item. Join Australian Folk and Mixed Media Artist, Vicky Phelps as she demonstrates and guides you through the process of creating your very own resin sheets. Versatile process with many uses, sheets easily cut with scissors, paint and then highlight the surface using contrasting paints or coloured waxes which will very quickly accentuate the texture. 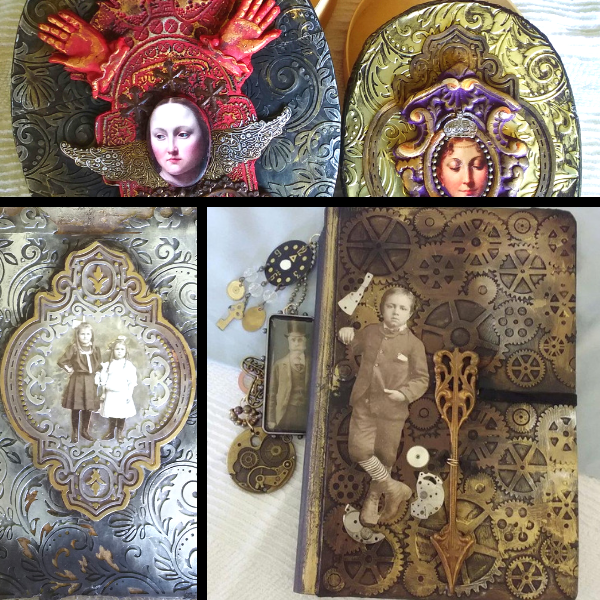 Sheets can be mounted on book covers, boxes, included in mixed media projects as well as scrapbooking and card making. Boro are a class of Japanese textiles that have been mended or patched together. The term is derived from Japanese boroboro, meaning something tattered or repaired. As hemp was more widely available in Japan than cotton, they were often woven together for warmth. 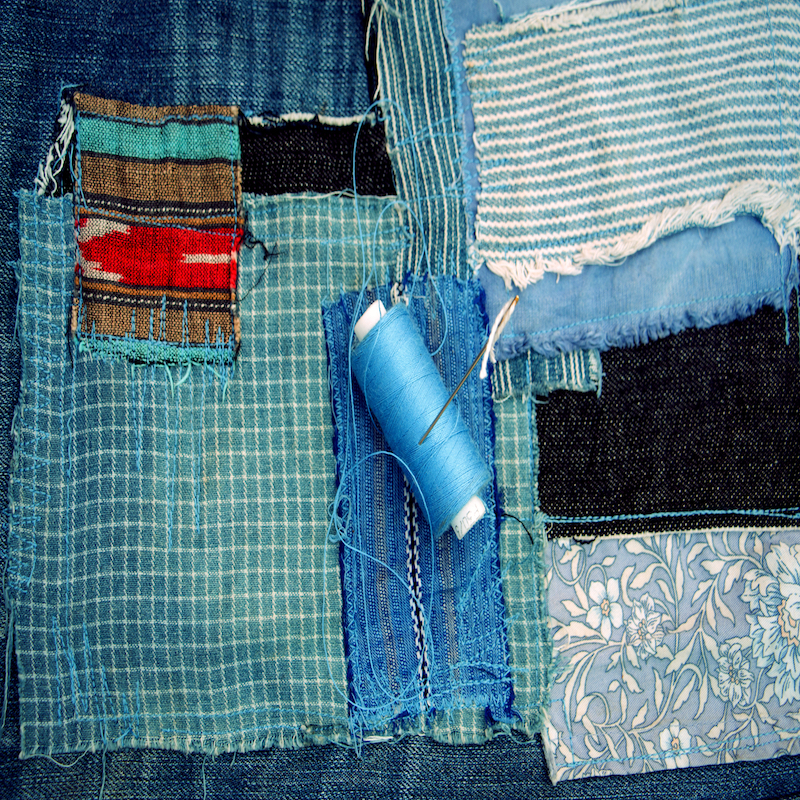 Tonight you will create your own special piece that can be used in a larger piece of sewn or mixed media art, stitched into a bag or onto a piece of clothing. Please bring scissors and you are welcome to bring a variety of your own well loved, vintage/old fabrics and laces to use. Fee: $35 includes all supplies, instruction, coffee/tea and cake. 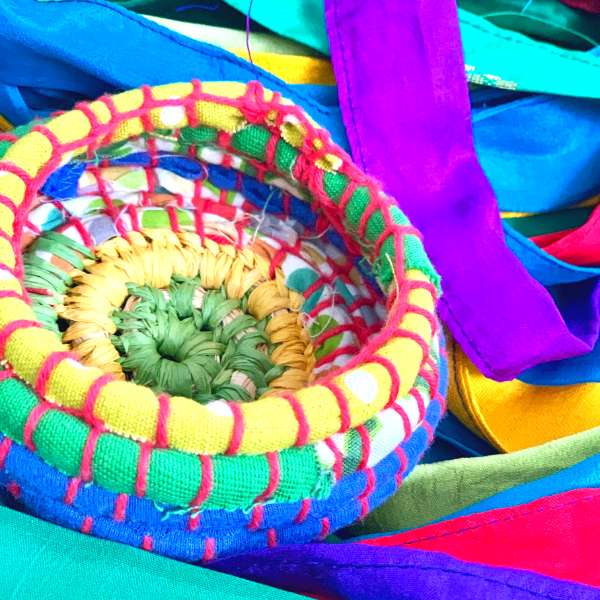 From plastics and raffia, trash to sari ribbon you will learn the art of basket weaving and create your very own dish or mat to take home. Please bring scissors and you are welcome to bring strips of fabric or plastic bags.